Jessica Capshaw at the Michael Kors Fall 2005 fashion show during the Olympus Fashion week. Jessica Capshaw at the Tuleh Fall 2005 fashion show during the Olympus Fashion week. Jessica Capshaw at the 2004 Crystal and Lucy Awards - "A Family Affair: Women In Film Celebrate the Paltrow Family." Jessica Capshaw at the NBC upfront. Jessica Capshaw at the Los Angeles premiere of "The Terminal." 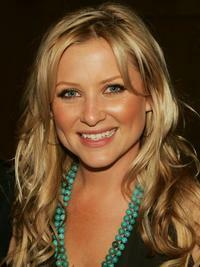 Jessica Capshaw at the NBC's "2005 All Star Celebration" of TCA Summer Tour. Sasha Alexander and Jessica Capshaw at the 2004 Crystal and Lucy Awards - "A Family Affair: Women In Film Celebrate the Paltrow Family." Jessica Capshaw at the after party of the premiere of "Into The West." Jessica Capshaw at the Mercedes-Benz Fashion week. Jessica Capshaw at the 15th Annual Glamour "Women of the Year" Awards. Jessica Capshaw at the premiere of "Valentine." Jessica Capshaw at the Hollywould Dress Collection launch party.